Many, many, many years ago, women had a hard time living according to the word of God. Their neighbors from villages around the city were living perversely, serving other gods and tasting the fruit of strange things. Women like Rahab, that desired to serve the Lord, had to leave their villages and all that they had ever known to become holy and sanctified. Turning from all that she knew, she gave herself over to the ways of the Lord. 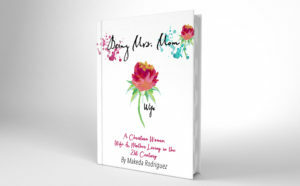 She learned how to live a life of holiness. Becoming meek was taught to the women by the old and elderly. Loving husbands and children were skills that the aged found pride in teaching to the youth. The fruit of the Spirit, while developed over time, came with commentary and was dwelled upon, as the women laid under the starry sky surrounded by the sounds of nature. Although not easy, being a woman of God, in the city of the Lord was not unheard of or strange. Fast forward at least 2,000 years and you find a completely different scenario. Not only do women still have a hard time living for the Lord, it is almost impossible without total isolation. The old are teaching the young that there is no value in being a wife or a mother; they are simply hindrances to obtaining life goals, obstacles placed in the way of the ambitious. They urge the youth to consider that God is not real. Tempted by the lust of the flesh, lust of the eyes, and the pride of life, women today find themselves lost, struggling to understand how to live this life as a godly woman. The clothes, the songs, the entertainment all make it hard for her to hear the voice of God. Blaring from the speakers of the 4K television in the bedroom are the voices of the world echoing in her head, pulling her towards what she doesn’t long for. The pictures on her phone challenge her to compare herself to what she has seen. Social media calls out to her with the constant rings and dings, causing her to lose focus on the things that are most important to her. The call of God on her life becomes drowned out and all she can think of are the words of the world. Each message screams for her attention, her love, her worship. But really, she yearns for something else… someone that will fulfill her. As the Holy Spirit calls on her, she finds it hard to live according to the Spirit. She struggles within. Love isn’t what she wants because she feels hate. Peace is not what she craves because there is constantly conflict in and around her. Joy is foreign because she just wants to be happy. Long-suffering…humph, what’s that? You mean instant gratification. Goodness is gone as she seeks her own good and for that alone, in the name of God. Gentleness, meekness, and temperance (also known as self-control) are just words. There are no examples. They have lost their meanings. Their good has now been made evil. Turned to weakness, stupid, and foolish. Faith has been thrown out the window and traded in for doubt…I mean logic. What’s the problem? Can it be solved? What’s the struggle. The time, the era, the day that we are living it. Its corrupt and if we are not careful, it will corrupt us. SO how do we stop ourselves from becoming this woman. 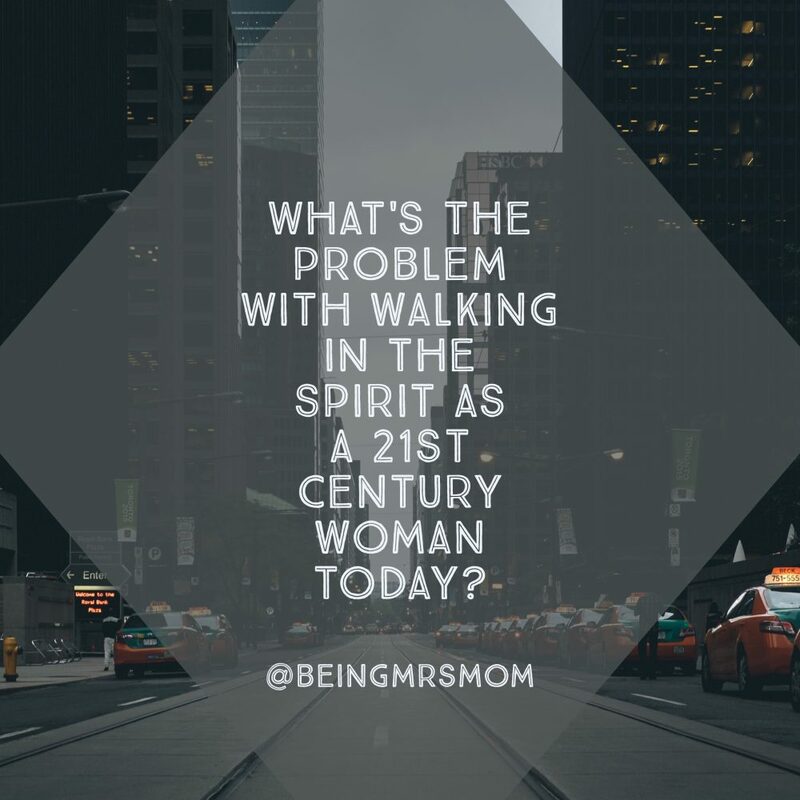 Honestly, we have to remain sensitive and recognize the benefits of walking according to the Spirit, but there is still a simpler way. Let’s stop for a moment and see what we can glean from the scriptures. So what?! Why should I care if it’s an action word? I’m glad that you asked. These words tell us that we can do or not do them. When we look at what the Lord is saying to us through the word, He is speaking very clearly about the way that we should be aiming to solve our problems. If we say that we are women of faith, then we are living in the Spirit. If we live in the Spirit, we should also take it upon ourselves to walk in the Spirit as well. This means that we have to choose to obey the leading of the Holy Spirit. Since we all struggle with this, we must recognize that this is nothing new. Instead it is something that every believer must endure and push through to overcome. We must admonish and encourage one another. When no one else is around, we must listen to the unctions of the Holy Spirit and encourage ourselves. There are a few other things that we can do to solve this problem practically, but let’s take some time to think on this. I recommend that you journal out your answers, so that you are able to really process where you stand before we move forward. What are some of the distractions that pull on you heart, requiring your worship, and all of your attention? What stops you from having quiet time with the Lord, quiet time to think, time to rest in Him? What songs, entertainment, and television shows cause you to struggle with walking in the Spirit and inspire you to walk in the lust of the flesh? How does this effect you? How does it make you feel? Do you really think that there is anything that you can do about it? After you have journaled about these topics, specifically answering these questions, take a moment to pray about this. Ask the Lord to help you let go of the old and corrupt things that tug on you, so that you can grab hold of Him. Make sure to sign up for updates by subscribing below. Each post will be delivered to your email and you won’t miss a thing. I look forward to hearing from you and don’t forget to come back within the next week for those 3 Things. SUCH A GOOD POST. Being a godly woman in this day and age is difficult, but that almost makes it all the sweeter to be truly dedicated to the Lord. It’s such a good feeling to know that even among all of the worldly influences and pitfalls, that I am able to stay steadfast in my God. I agree with you. I feel like it’s a challenge that allows me to fulfill my life’s purpose. You know, to grow in our relationships with God and realize how good He is, makes life sweeter as well. I like that you used the word steadfast. In my mind, I see godly women standing side by side in the spirit as we trust in God and live for Him. I’m glad you enjoyed the post. I hope you found it encouraging.